Puppies are so cute and cuddly. Kids love them! This printable pack will invite your preschool child to learn letters and sounds, writing skills and more! 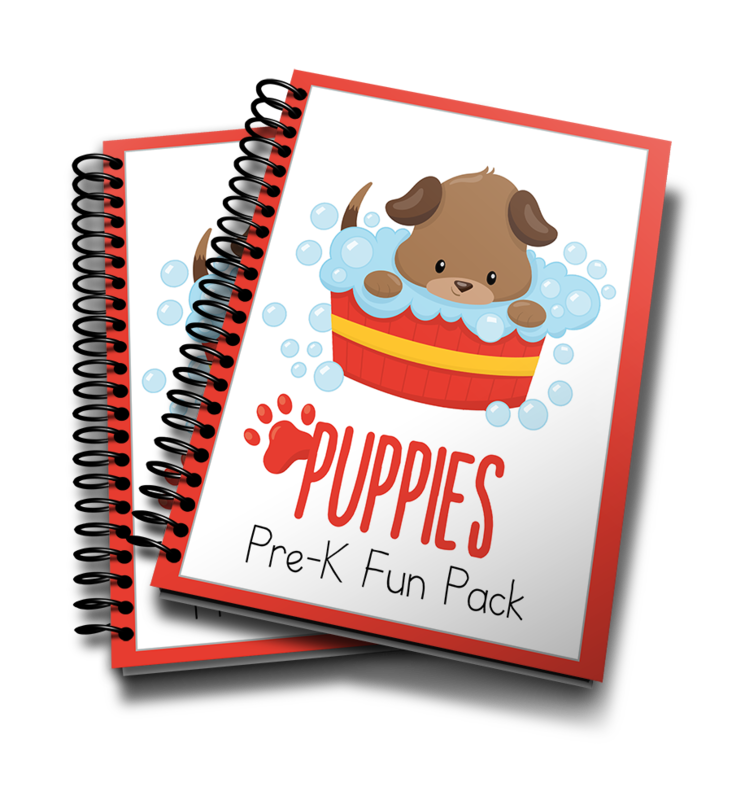 You can download the Puppy Fun Pack by putting your email into the box below (current subscribers can click the “download now” button). I hope you enjoy!